Expand search to view more listings in and around Jupiter. See more offices in and around Jupiter. Here at Offices.net we have 2 Jupiter offices available now for immediate occupation, with flexible rental terms. 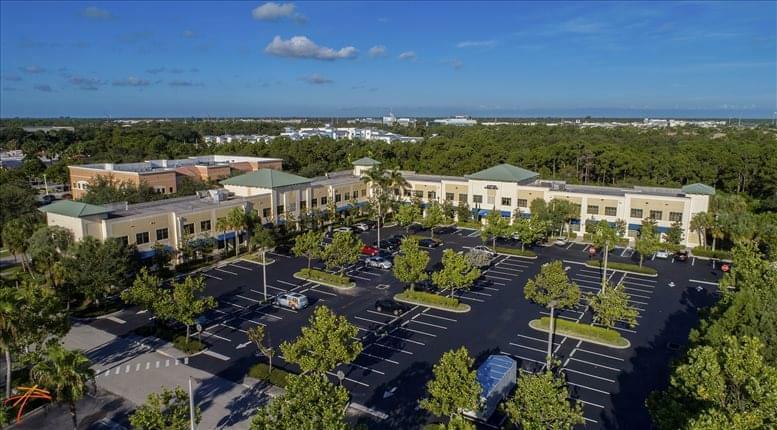 Many of our offices offer simple, short term and flexible rental agreements, meaning that your company can gain the benefits of a wide range of facilities and a prestigious business address in Jupiter, with an agreement that is tailored to suit your company's needs. Offices.net offers businesses of any size the simplest, fastest and most affordable way to secure professional office space in Jupiter, Florida. Our offices space and executive office suites come with a wide range of services included, and flexible rental contracts that are tailored to suit you. We try our best to ensure that the entire process is as easy as possible for our valued clients. Most of the office buildings provide reception, state-of-the-art print and scanning amenities, internet and network wiring, telecommunications set up, and furnishings. Some of the business centers also provide on site IT support, meeting rooms, video conferencing, 24/7 access and other professional services and amenities. We would love to help you find your perfect new work environment. All you need to do is to select one of the offices for rent in Jupiter above. The office space listed on Offices.net is in a prime location, and is available for immediate lease on flexible terms. Haven't got time to search? Simply get in touch using the contact details above and we'll be more than happy to recommend some options in and around Jupiter. All we need to know are your essentials; the number of desks you need, your preferred locations and your budget.